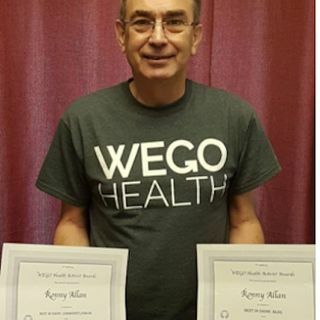 Ronny shares his journey of learning his diagnosis of Neuroendocrine Cancer leading us to why and how he created his award-winning community! With his extensive internet and social media "footprint", Ronny will tell you it is his purpose now to not only bring awareness to his atypical Cancer but much ... See More much more! 3:27 Here is where we Learn why and how Ronny started his award winning blog! 9:34 Ronny tells his story of how he learned he was a cancer patient. 14:09 Are you wondering how a medical information blog can be so popular? Here's how!